Court proceedings are as old as civilisation itself. Archaeologists have found legal records dating to ancient Mesopotamia, Egypt and Greece. Through the centuries since, lawyers have been admired and feared for their ability to sway people's opinions. What could we learn about presenting from the courtroom? Lawyers can be pretty cagey about the tricks of their trade, but I managed to get some off-the-record gems. But let's begin at the beginning, as a lawyer would. Lawyers have always needed to be systematic, but that's truer than ever today. All of the people I spoke to stressed the importance of one point – prepare, prepare, prepare. You'd never dream of delivering a presentation without first doing your homework. But however thorough your prep may be, a courtroom lawyer will be so much more elaborate. Senior barristers – the specialist lawyers who handle UK criminal trials – are obsessional about preparation. Under the intense scrutiny of the courtroom, the tiniest tear in the fabric of a case can become a gaping hole. Legals spend years learning how to structure an argument, and several of our interviewees named Aristotle as an inspiration. His Rhetoric was first published in the 5th century, providing an elegant formula for debate that’s been used by speakers ever since. Aristotle's recipe begins with a brisk summary, followed by a point-by-point journey. Crucially, he suggests you include a 'but' section – the refutatio – which aims to defuse counter-arguments by anticipating them. You should find them and address them during your speech. When Obama was trying to deliver his Health Care Reform Plan in 2009, the most important part of his speech was to find the arguments that the Republicans would think of and contradict them. Clearly, Aristotle found the gladiatorial elements of public debate distasteful. The refutatio is brilliant because it sidesteps a direct clash with the opposition. All very civilized. Aristotelian thinking has dominated lawmaking around the world in the last few decades. Here's a good example. In the UK, barristers and solicitor-advocates are obliged to file 'skeleton arguments' with the court before a trial begins – they even have to provide copies to the opposition. Think about what that means. Skeleton arguments mean no surprise witnesses and fewer dramatic revelations. Under this system, the tense plot lines of all those courtroom dramas become obsolete. Business presentations may be less stressful than court cases. But many presenters like to use shock to get people's attention. If you’re one of them, you might be shifting uncomfortably in your seat at the thought of having to pre-announce your arguments. If so, you've got plenty of friends in the legal system. Even in his own lifetime, there were objectors to Aristotle's love of logic and transparency. These included the Sophists, who believed that vigorous, cut-and-thrust argument was essential for getting at the truth. In the 2,000 years since, many speakers have followed a Sophist agenda of emotional appeals, weaponized language, and angry confrontation. But courtrooms are becoming calmer and more predictable. Even in the US, where lawyers often conduct pretrial dry runs in order to see how their arguments might work against an active and energetic opposition, the tide is turning in favour of a calm Aristotelian approach. Forget wit and charm. It seems the only way to a judge's heart is clarity and adherence to procedure. J, a busy London paralegal, told us about Judge K, who has a particular hatred for dates written with 'nd' or 'th' after the number. "Let's just say we edit our submissions with a view to keeping him on-side," J told us. What a judge really wants to hear is 'My Lord, this is a very simple case about X.' They want it to be easy. If you can convince the judge that the precedents are clear-cut and the argument unambiguous, they will be more ready to make a quick decision in your favour. The stern figure of the judge, with a unique combination of acumen and idiosyncrasies, could easily represent your audience. Think of your presentation as a case going before a higher court, and you won't go far wrong. That's all well and good, but it sounds a little bland. When might a bit of powerful, emotional sophistry be called for? A classic study by Green and Brock, and successive experiments by others, found that great storytellers are capable of imprinting their own viewpoints onto audiences, causing listeners' brain activity to resonate with their own. Lawyers and barristers are among the many groups that have taken note of those findings. 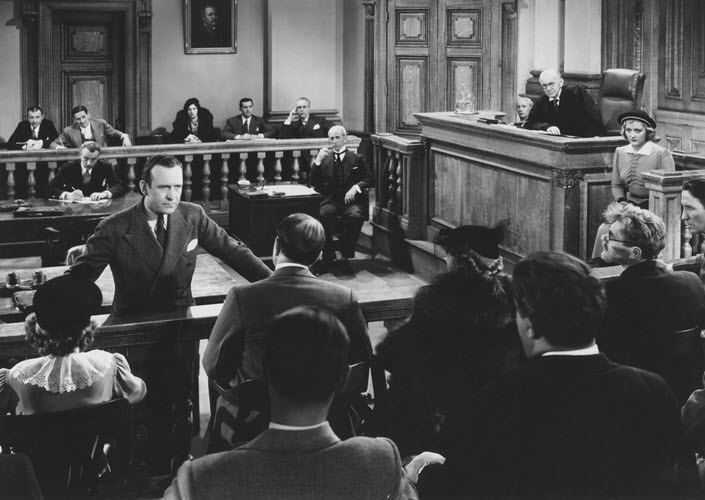 Since a trial can be considered a debate over competing interpretations of observed fact, the ability to construct a compelling narrative – and get a jury to buy into it – is at a premium. Popular culture overflows with tearful calls-to-arms delivered by grandstanding lawyers. But the same codes of practice that prohibit insults and defamation also make certain appeals to the jury box difficult – so it's pretty thin ice to skate on. Will the sophists ever regain the upper hand? Ian Gregory, a former professor of legal philosophy at a UK university, doesn't think so. Tricks like intimidating witnesses by conspicuously riffling through papers are about as far as it goes. Bullying, abuse, defamation and gratuitous character attacks are out. The days of the flamboyant barrister seem to be behind us. Storytelling, though, is a skill that pre-dates even the law. And if you want to win the sympathies of an audience, bypass the legal consultants and go directly to the sources.